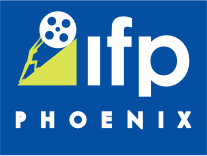 Hey Phoenix Film Fans! Ron Burgundy and the top news team from Channel 4 San Diego are back after almost a decade. Sequels can be tricky, so how does the continuing legend compare to the original? Read on to find out. Keeping the absurdity rolling through the sequel must have been such an easy feat as it ups the ante of stupidity and idiotic entertainment. What's great about this sequel is that more screen time is given to stand out character, Brick Tamland, who has some of the funniest lines in the film. Is this film ridiculous? Absolutely. Is this film better than the original? That depends on the viewer. If you loved Anchorman, you’ll be happy what McKay and gang deliver as it still has all the gags and stupidity of the first film, but it notches it up a level of 1980’s exuberance. Another bonus to this film that there is an abundance of celebrity cameos and surprise guests. From a story standpoint, some of the storylines fall a little flat and then pick up at the very end as Ron’s journey goes way off course then swings back around. With Ron Burgundy, would you expect anything else but it to be all about him? Overall, this film is absurdly entertaining with enjoyable new character additions, new quotable lines and a great soundtrack. Be sure to catch “Anchorman 2: The Legend Continues” when it opens in theaters starting Wednesday December 18, 2013.